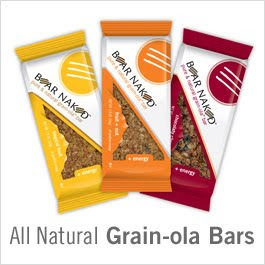 Click here to sign up for one of 5 Bare Naked Pure and Natural Grain-ola Bars (choose from Fruit & Nut, Chocolate Cherry, Tropical Fruit, Cranberry Raisin or Banana Nut). It takes about 1-2 days for your request to be processed. Enjoy!